TAMPA -- The final three holes on any golf course are where good rounds can go to die. Pebble Creek Golf Club's 18th hole: a 394-yard par 4 with a slight dogleg right. There's nothing like stalking your competitors -- whether it's a friendly match or a club championship on the line -- then being up or down a couple of strokes when every shot matters. That's when the tension kicks in, and every shot counts more than the last. 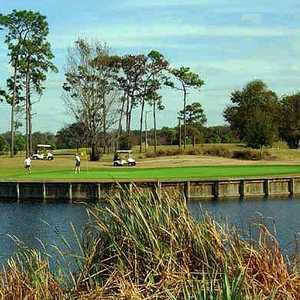 The Tampa area is known for its tough finishing holes, usually with water and sand everywhere. That's Florida golf, and if you don't want to get wet, there's a good chance of arriving at the beach, although not the kind you want to see during a visit to Tampa. 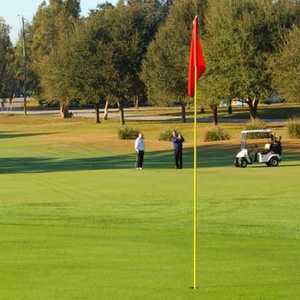 Tampa hosts a Champions Tour event in the fall and a PGA Tour event in the spring, and most of those tournaments are won and lost on the final three holes. 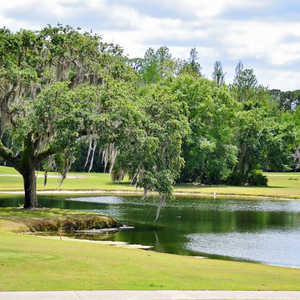 While Hillsborough County is home to 28 championship courses, some of them have more bite down the stretch than others. Innisbrook Resort & Golf Club's Copperhead Course is where the PGA Tour makes the third stop on its annual Florida Swing. The course itself is tough enough, but at this year's Transitions Championship, everything came down to the final three as six players had at least a share of the lead on the back nine on Sunday. Luke Donald won it in a four-man playoff on the sudden-death first playoff hole, with a 7-iron from 159 yards that landed six feet from the hole, where he knocked in the putt. The fun starts on No. 16, a 475-yard par 4 that bends around a lake going all the way down the right side. It's a long dogleg, so cutting off some yardage on the approach shot is an option, but the fairway is thin, and there are trees down the left side. Bunkers front the green, which slopes from back to front. A perfect tee shot will leave about 150 to the green, providing the tee shot stays dry. No. 17 is a straight par 3 that plays to 215 yards, but the green is the toughest on the course, with three tiers. There are also four traps surrounding the green, so it isn't simply important to hit the green; hitting it to the right part of the green is key. While Donald passed the test on No. 18, his final competitors struggled, and there's a reason why. It is a 449-yard par 4 with six fairway traps to deal with off the tee. Playing a draw on the approach is the only way to get close to the small green where a tree blocks approach shots coming in from the left side. With water coming into play on all three holes, the final stretch at Pebble Creek Golf Club isn't easy. No. 16 has water on both sides of the fairway off the tee, and while the hole is straight, the fairway is tight with plenty of trees to catch approach shots. At 360 yards, it might not seem long, but bunkers front the green with trees in the back. No. 17 is simply about staying dry. An approach shot can either go left and be wet, or go right and be in the brush. At 545 yards, it is the longest hole on the course. "You can hit it as far as you want, and you still can't hit the green in two," Pebble Creek Head Professional Stacy Keisler said. "We are known for our small greens here, and this one is the smallest." It only gets more difficult on No. 18, a 394-yard par 4 with a slight dogleg right. Trying to play too much left-to-right will only end up leaving you with an approach from the bushes. The home holes at Heritage Isles Golf & Country Club start with a 249-yard par 3, easily the longest par 3 on the course and one of the longest in all of Tampa. There's water down the left side from tee to green, and most golfers simply lay it up and hope for an up-and-down to save par. No. 17 is a par 4 that doesn't play much longer than the par 3. The approach shot is everything here, but despite only playing to 330 yards, there is a lot of water fronting the green, which is surrounded by five bunkers. Bombers may think about going for it, but it really isn't worth the effort. The closing hole is a 399-yard par 4 that hooks to the right. It has a tiny landing area with water and sand coming into play on both sides. Sand around the small green can cause trouble on the approach. Staying dry off the tee at No. 16 is the best way to close it out at Northdale Golf & Tennis Club. That is, if you get past the par 5, 570-yard dogleg right that is unforgiving from tee to green. The tee shot requires one that stays in the fairway but ends up short of the creek that runs through it, leaving no chance at reaching the green in two. After that, it's a long approach to a green fronted by more water. It's the longest hole on the course and the most dangerous. No. 17 is a 203-yard par 3 with a narrow green that slopes from back to front. Miss the green, and you're in the sand. The 421-yard closing hole has the tightest fairway on the course and has sand and trees lining both sides.